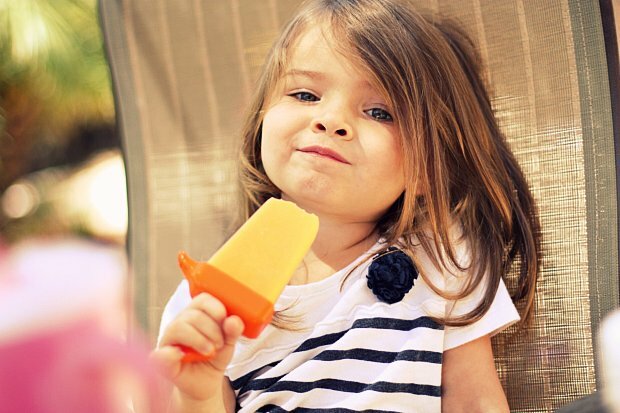 For our first popsicles of the season we went with Mango Coconut. 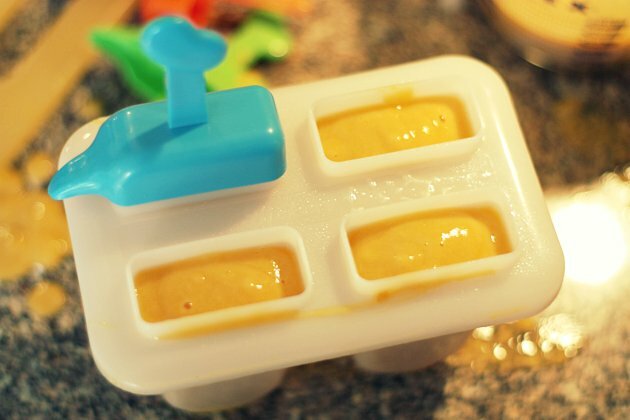 All you need is a few fresh ripe mangos, light coconut milk, and some popsicle molds. 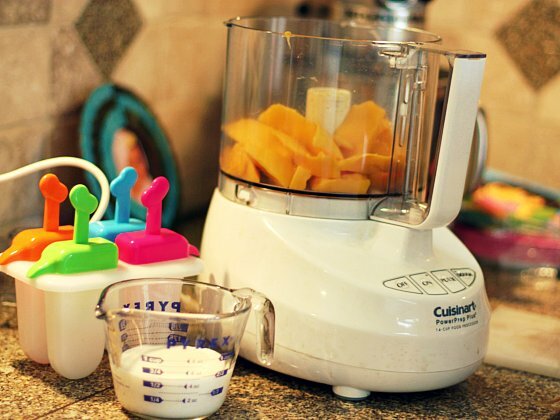 Add the mango and the coconut milk in a food processor or blender, and blend until smooth. You can add a little sweetener if you like, but if the mangos are ripe enough you shouldn’t need any. Once the mixture is blended through, pour it in the popsicle molds and freeze for about 4 hours or overnight. To remove the popsicles I usually run the a little warm water over the mold to make it easy. These were the perfect summer treat! p.s. Be sure to check out my interview with Sprout TV on Raising a Healthy Eater. Place ingredients in a food processor or blender and blend until smooth. Pour mixture in popsicle molds and freeze overnight. Yum, looks delicious. I love making popsicles for my kids. That is such a simple recipe! Awesome. Mmm…I know this is something everyone in my family would enjoy. And I love that they don’t have any added sugar! Such a healthy treat on a hot day.